When Square Enix launched Final Fantasy XV, many felt distressed by the fact that it was such a departure from the classic JRPG formula. 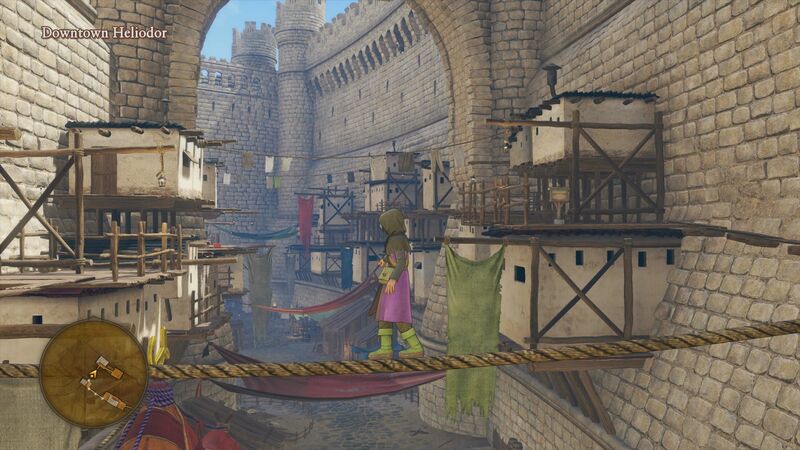 You possibly already know that I loved it, but if you are among those who would have preferred a traditional turn-based game, Dragon Quest XI: Echoes of an Elusive Age is without a doubt what you’re looking for. The story starts with a rather simple and delightfully classic premise: during a coming-of-age ritual, the hero suddenly discovers that he is the reincarnation of the Luminary of legend via a birthmark on his hand which awakens a strange power. His foster mother decides to reveal instructions from his adoptive grandfather, indicating that he would have to go seek guidance from King Carnelian of Heliodor. Our hero departs the morning after, basically breaking the heart of his childhood friend Gemma, who obviously had different plans for him. Yet, in JRPGs things are rarely what they look like, and our protagonist gets a rather unexpected welcome when he reaches the capital of Heliodor. I won’t say more, because this is a game that deserves to be played without spoilers, but suffice to say that the story is absolutely charming. 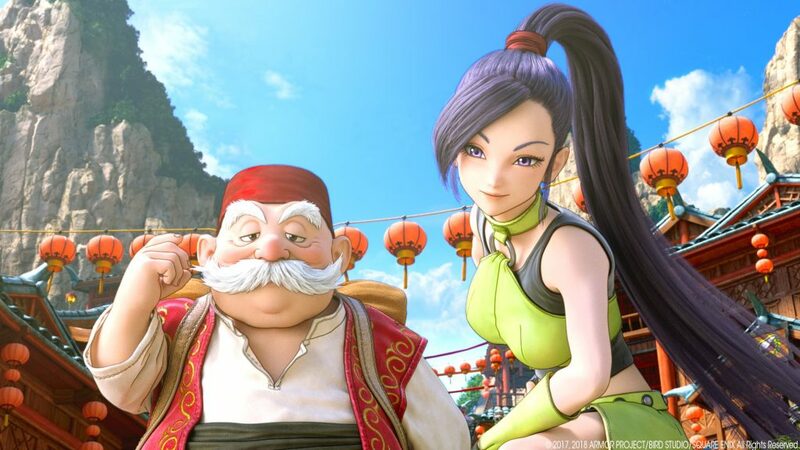 Another masterful element of Dragon Quest XI is its cast. Every single playable character is likable and interesting, and a lot of effort went into designing their personalities and stories. Unfortunately, Square Enix decided to change their names for reasons that are completely foreign to me. None of the original names was in any shape or form unfitting, so this seems to be a rather superfluous departure from the original. The English script also appears to take a few more liberties than I would like. On the other hand, I have to say that I was pleasantly surprised by the English voice acting. Considering the fact that a Japanese voice track literally doesn’t exist, there is no alternative to the English one. Yet, the quality is higher than the usual JRPG production, and the voices fit the characters very well. Square Enix decided to assign different accents to different parts of the game world, and some of them may prove a bit heavy (especially for those who aren’t English native speakers). Yet, all in all the English voices are quite enjoyable. The soundtrack is basically classic Dragon Quest, with a very strong retro flavor. Personally, I like the style, but this kind of tunes may not be everyone’s cup of tea. That being said, it’s very heavy on the nostalgia, so if you’re a classic JRPG fan you should find plenty of tunes that will make you smile. The same flavor carries into the sound design, with plenty of effects that come straight from the roots of the genre. Before we move on, let me provide you with a warning about your playthrough: after the credits roll, there is a ton more gameplay and story to enjoy. As a matter of fact, that’s about twenty hours of content which you really, really should not miss. Yes. If you were wondering, Dragon Quest XI is a very big game. An interesting aspect of Dragon Quest XI is certainly its visuals. The game has some of the most beautiful cel-shaded graphics I’ve ever seen in a game of any genre. This is certainly a departure from most productions that stick to the traditional JRPG style. Nowadays they tend to either have mediocre visuals or to resort to retro-style pixel art, which is certainly less risky in terms of budget and less demanding in terms of technology. 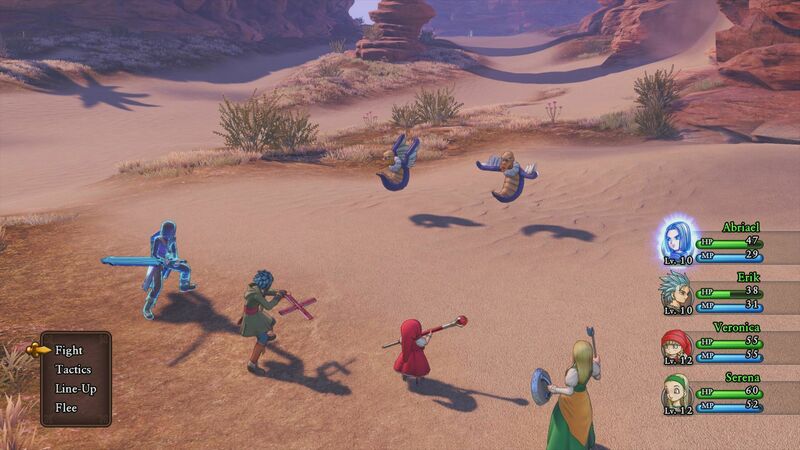 On the other hand, Dragon Quest XI is gorgeous and shows that classic turn-based JRPGs can definitely look great on top of playing great. Sure, many will say that graphics don’t matter, and I wouldn’t certainly dismiss a deep, meaty JRPG just because it doesn’t look great, but this one does, and it most definitely helps. Both the characters and the world shine thanks to a wise use of Unreal Engine 4 paired with high-quality assets both in terms of 3D models and textures, with a charming lighting (which changes with the time of day) that embraces and ties everything together masterfully. This is most definitely how a modern JRPG should look like. 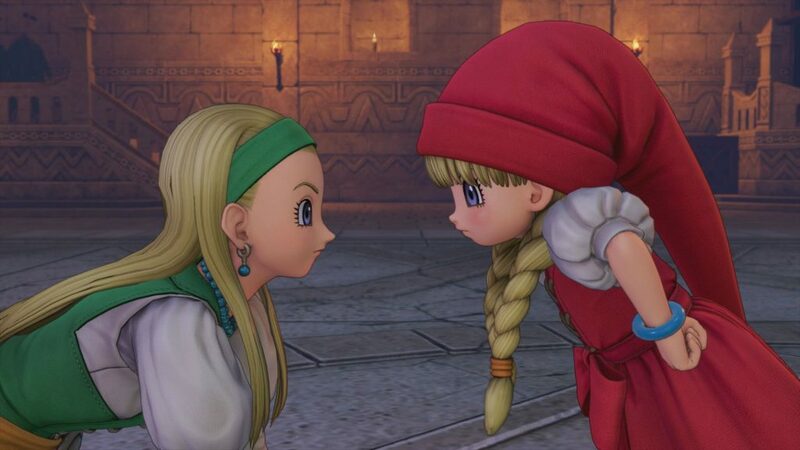 Like DragonBall FighterZ, Dragon Quest XI’s visuals really do justice to Akira Toriyama’s character design, but they manage to pull this remarkable stunt in a completely different way that previous 3D games didn’t even come close to. Of course, the bread and butter of a classic JRPG is (alongside the story and characters) its gameplay. 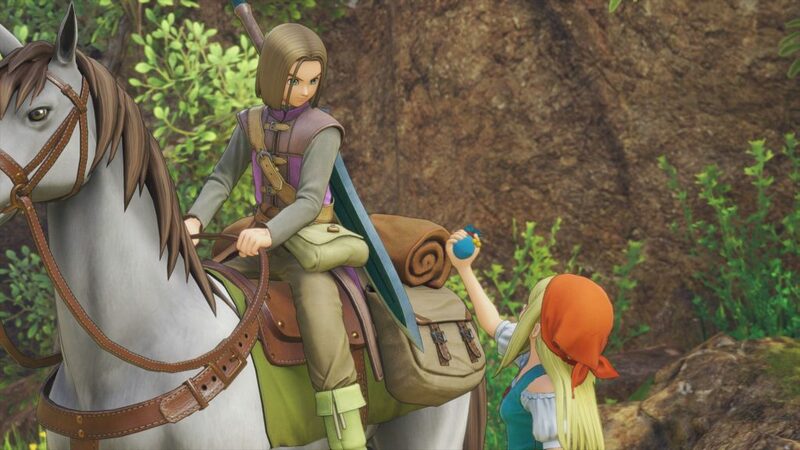 Dragon Quest XI: Echoes of an Elusive Age is a love song to the roots of the genre in basically every aspect. One of the elements that have almost gone lost in many modern games is the value of exploration besides finding this or that series of collectibles. The world of this title is chock full of chests and assorted containers that come with useful items. You can certainly speed through an area, but you’re going to miss out on many goodies. I will admit that it’s a bit funny to think that your “Luminary” hero is actually a hooligan who goes around breaking everyone’s pots and barrels and looking into their closets, but exploring to find these hidden items is genuinely fun, and worth the suspension of disbelief. All monsters are visible on the field, which means that most of them can be avoided (you can even ride through them on horseback). Of course, with great power comes great responsibility, which means that if you don’t fight any monster on the way, you’re going to find yourself underleveled for boss fights, and you can’t avoid those. Since this is a traditional turn-based game, levels do matter, so you may want to proceed in a balanced way. You certainly don’t need to kill everything that moves, but you carry those weapons for a reason, and you better use them if you want to progress smoothly. Did I mention just how adorable most of the monsters look? Didn’t I? Well… they do. I want a plushie of every single one of them. Of course, we can’t speak of monsters without talking about combat. 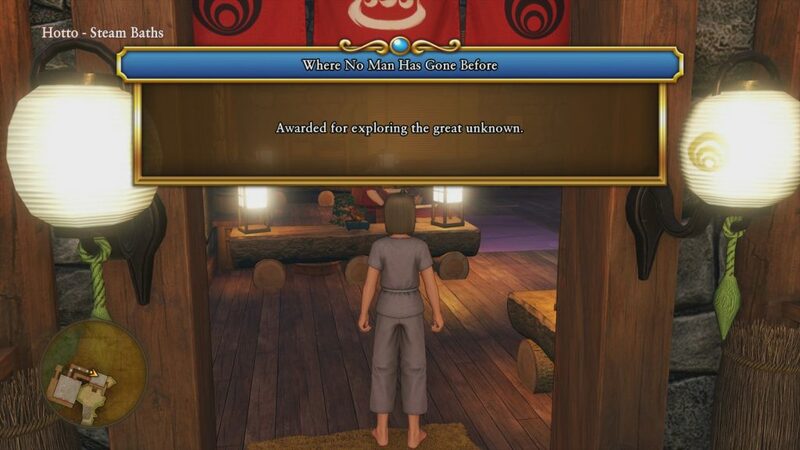 Dragon Quest XI delivers exactly what it says on the tin. It’s a classic turn-based JRPG through and through. The only concession it does to real-time gameplay is that it lets you move your character around on the battlefield as you wish, but if that’s too much you can select the Classic Camera mode in the options, and it’s gone. Attacks and actions are executed through traditional menus that let you access all of your spells, items, and abilities. There is plenty to play with, as each character has many tools at their disposal. One of the most welcome elements is the ability to decide whether to let your other party members decide on their own how to act (by giving them one among multiple AI settings which will instruct them to go all-out, focus on healing, or more), or choose a manual setting that will let you control them directly. You can set this for each party member separately, which means that you can decide exactly how much micromanaging you want to do. As your character receives damage, they will get “pepped up.” At that point, you can either enjoy the status and the increased stats it provides, or you can decide to spend it to activate a Pep Power. These are flashy attacks and abilities that can also be done alongside other party members like the combo techs in Chrono Trigger. As you may very well imagine, they’re rather spectacular, not to mention effective. One interesting detail is that your characters aren’t the only ones that can get pepped up. Enemies can as well, and they have access to their own pep powers. You may want to be careful when they start glowing. Crafting plays an important role in the game, and you’ll have access to a “fun-size forge.” This is basically a mini crafting station regulated by a minigame that is basically a more complex version of Black Jack with hammers. You have to pound every part of the item you’re creating until it’s in the sweet spot, but if you push too much you’ll ruin it. A series of “flourishes” add a further layer of complexity letting you have fun with devising your forging strategy to achieve the best effect. The feature definitely enjoys a very well-designed balance between complexity and intuitiveness. Personally, I love it. Speaking of complexity, the game doesn’t have set classes, but lets you customize your character’s abilities quite deeply via a “character builder.” Basically, each playable character has its own branching skill tree on which you can spend the skill points acquired by leveling to tweak their playstyle depending on your taste. Thanks to this, you can specialize them in a specific weapon or set them as jack-of-all-trades. While I wouldn’t advise the latter approach, there is plenty of freedom in the order in which you skill up your characters, and especially in the choice of the weapons you want to pursue. Ultimately, especially if you partake in the endgame, you’ll have plenty of points to get all the abilities you may want or almost, but especially early in your playthrough, a good progression strategy certainly yields great results. There are also quite a few minigames to enjoy if you want to take a break from adventuring, from the casino to the horse races. You can hunt accolades (basically achievements, some of which are really funny) and mini medals for a variety of rewards. If things are too easy for your taste, you can even apply yourself various restrictions via the Draconian Quest (but this only works by starting a new game). For instance, you can forbid shopping or retreating from battle, all the way to more radical effects like making your enemies stronger or the hilarious “Shypox.” While this isn’t a groundbreaking feature, it’s certainly nice to have for those who want an additional layer of challenge. 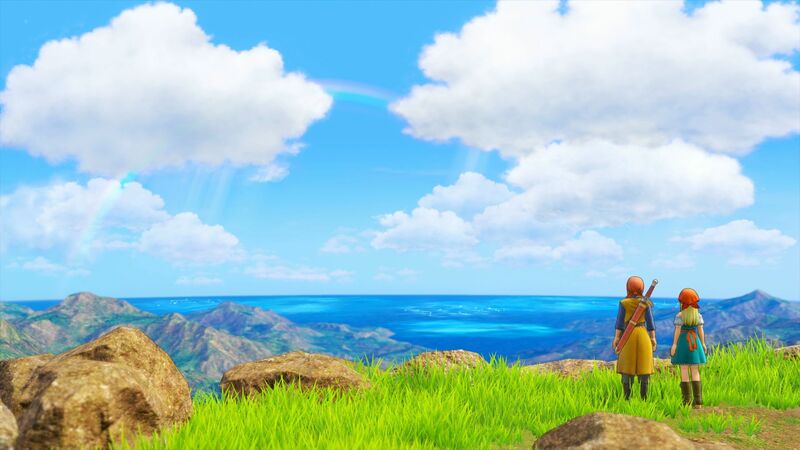 Ultimately, Dragon Quest XI: Echoes of an Elusive Age is an absolutely masterful execution of the classic JRPG genre. While it embraces its nature, it doesn’t feel like development shortcuts have been taken while hiding them behind the “retro” excuse. Concessions have been made to quality of life exactly where needed, and the gorgeous graphics tie everything up like a nice bow on top of a wonderful gift that keeps on giving. If you have been missing the pure, genuine adventuring encouraged by the JRPGs of old, and you have been eager to see what the most traditional incarnation of the genre could achieve when paired with top-notch production values, this is most definitely the game for you.